Come to me, my sweet exotic children. Good afternoon, all. Summer, and the suppressing, all-consuming heat it brings with it, is finally upon us. In order to beat the heat, a few of the Co-Opticrew have found a simple solution - just straight up leave the planet. With the new Destiny 2 expansion out, there's a whole new set of loot out there to toil away for, and toil we will. At least it'll be in the cool comfort of our own houses. Commander Zavala and his ilk aren't fully dominating the weekend, of course. We've also got mercenary mech pilots, Italian combat plumbers, and fairy tale kings. Check it out! Nick Puleo (@NickPuleo) - "BattleTech and Destiny 2!" 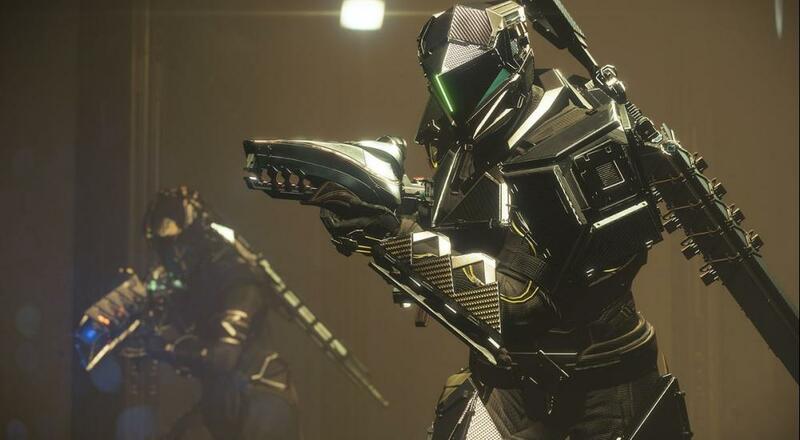 Jason Love (@JLove55) - "The grind in Destiny 2 Warmind is reaaaaaaaaaaaaaallllll, so I guess I'll be doing some of that in between taking care of a sick kiddo." Mike Katsufrakis (@Pheriannath) - "It’s been a while since I’ve given Destiny 2 attention, so I’ll be working through the new stuff in the Warmind expansion." Marc Allie (@DjinniMan) - "More Mario Rabbids and some Heroes of the Storm for me, most likely." Locke Vincent (@LockeVincent) - "It's big time robits with some BattleTech. Game is firing on all cylinders right now." Tally Callahan - "Continuing with my Smite kick, then a new T.I.M.E. Stories scenario on the table." Enoch Starnes (@enochstarnes) - "I'm knee deep in the mid-game muck of Ni No Kuni 2, so I'll probably be working my way out while sneaking in sessions of Vermintide 2." Matthew Squaire (@mattaghetti) - "Lots of reading but any gaming time is split between Titanfall 2 multiplayer and Divinity Original Sin solo / streamed." So, anything good lined up for you this weekend? Let us know in the comments.